Someone once told me that scientists showed that if you took apart all the molecules in a piece of bread and then rearranged them, you could get human flesh. I think there are two problems with this: 1) it sounds like a myth. Was there an actual study on this? 2) Catholics have never believed that the properties of bread become flesh. Once you consecrate the bread there’s no change in its physical properties; it still looks and tastes like bread. 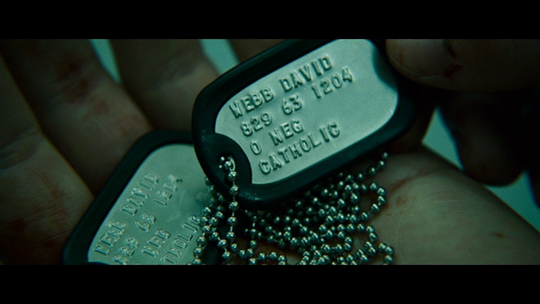 In spite of this, we don’t believe it’s just a symbol; we believe it’s really Jesus’ Body. Many Protestant Christians believe it’s just a symbol. Now, if Jesus is just speaking symbolically, then why question Him? He once said “I am the gate” (Jn 10:9), but no one ever said, “How can He be a gate? He doesn’t look like a gate.” Another time He said, “I am the vine” (Jn 15:5), but no one ever asked, “How can he be a plant?” because everyone knew He was speaking symbolically. 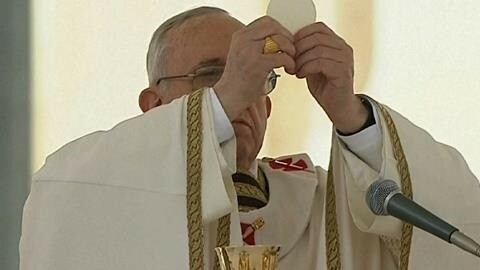 But not this time, not when He was talking about the Eucharist. To appease them, Jesus says, “I’m using a metaphor, calm down.” No He didn’t say this. He actually intensifies His statement. In the original Greek of the New Testament, Jesus changes the word from ‘eat’ to ‘chew/gnaw.’ This might sound very strange, but read it like this: “Unless you eat the flesh of the Son of Man… you have no life in you. [Here the Greek word changes] Whoever chews my flesh… has eternal life…; for my flesh is true food… Whoever chews my flesh abides in me, and I in them” (Jn 6:53-56). That’s graphic, isn’t it? But that’s what Jesus does: He uses more graphic, more physical language to make His point. It’s unusual but it makes us understand the physicality of eating and that this doesn’t refer to merely believing. The point of all this is that Jesus wants us to “express our faith by eating… his life-giving flesh in the sacrament” (The Ignatius Study Bible: New Testament, 175). 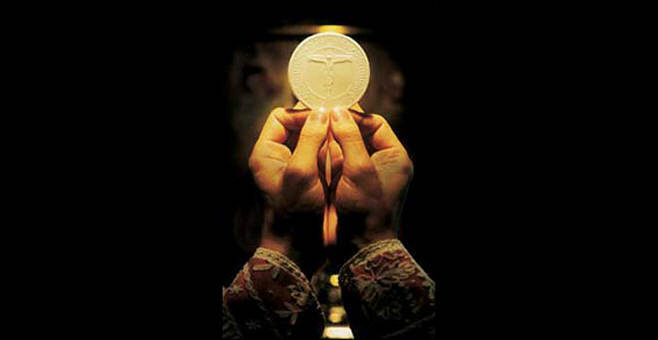 If we really believe in Jesus, then we’ll express our union with Him in the Eucharist. What happens after this? Some disciples, that is, people who had left so much behind to follow Jesus, stop following Him. This is a challenging teaching. And Jesus still doesn’t back down, because He’s speaking literally! For these reasons we believe the Eucharist is Jesus’ body. We trust in Jesus because we believe He’s God. 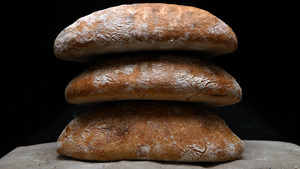 The early Christians didn’t know how bread became Jesus’ Body, but still believed it. 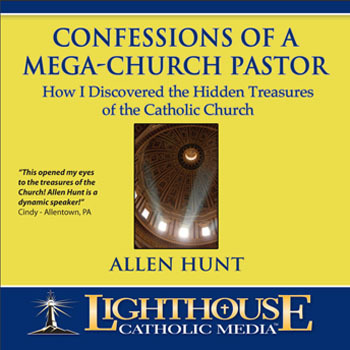 And did you know that all Christians everywhere for the first 1100 years of Christianity never doubted this (Dr. Allen Hunt, Confessions of a Mega-Church Pastor, Track 8, 1:27)? No one ever said this was a symbol. This whole symbolic interpretation idea is something new. Part of being Catholic is accepting all of Jesus’ teachings, even if they’re challenging. But another part of being Catholic is trying to understand His teachings better. So let’s try to understand how bread can become Jesus’ body. First of all, we have to say this is a profound mystery, it taxes the human mind, and we can’t understand it perfectly. But philosophers have reflected on this teaching for a long time, and this is what they’ve come up with: they use two technical terms: substance and accident. “’Substance…’ means what stands under the appearances [accidents], which can shift from one moment to the next while leaving the subject intact. Appearances can be deceptive” (Avery Cardinal Dulles, How Real is the Real Presence?, 456-7). So, if I wear a disguise and dress up in my awesome Jedi outfit, am I still Fr. Justin? What if I gain a lot of weight, am I still Fr. Justin? What if I get horribly burned and you can’t recognize me? So my appearances can change but not my substance—they’re different. But God, in a miraculous way, can change the substance without changing the appearance. When Jesus celebrated the first Mass, He changed the substance, not the appearance. Hence the word “Transubstantiation,” which means literally across the substance. What does this mean for us? You are what you eat. If you eat fatty foods, you get fat. If you eat healthy food, you get healthy. When people want to lower their blood pressure, they eat less salt. When people want to build muscle, they eat more protein. If you eat eternal food, you get eternal life. That’s why Jesus says, “Very truly, I tell you, unless you chew the flesh of the Son of Man… you have no life in you” (Jn 6:53). Knowing this, the Church requires us to receive the Eucharist how often? Once a year during Easter (CCC 2042). That’s the minimum. But the Church doesn’t just aim for the minimum, she aims for the maximum: she wants us to eat spiritual food as often as possible. Jesus tells us to pray for our daily bread, and this refers not only to “what is necessary for life” (CCC 2837), but also to the Eucharist. People who receive the Eucharist more often always grow in faith, hope and love. Many athletes say diet is everything. You have to exercise your muscles, stretch them and take care of them, but you also have to feed them what they need. And the same goes with our spiritual muscles. You have to exercise your virtues, but you also have to nourish them and give them energy. Receive the Eucharist more often. Perhaps we could come to an extra Mass during the week, maybe Saturday at 9 a.m. when we’re not working, or Tuesday at 7:30 p.m.
Our Adoration Chapel is open Tuesday to Friday, 9 a.m. to 10 p.m. Stopping by after work just for a few minutes is a great idea. The more we love the Eucharist, the more we can receive when we consume it. One person told me recently that when he was at Mass and during the elevation, the priest said out loud, “My Lord and my God.” Where does that phrase come from? It comes from St. Thomas, who at first didn’t believe that Jesus was resurrected, but, when he saw Him, expressed his belief and said, “My Lord and my God.” Now priests aren’t supposed to add extra prayers, so I don’t say this out loud, but I often whisper it or pray it in my head. And I’d invite you to do the same. Many Catholics do this during the elevation. The fellow who told me about this said this little prayer has changed his spiritual life. To sum up: 1) We believe the Eucharist is truly Jesus because He told us so; 2) God can change the substance of a thing without changing its appearance; 3) you are what you eat. So, following Jesus’ command, we must chew/gnaw His flesh to have eternal life.